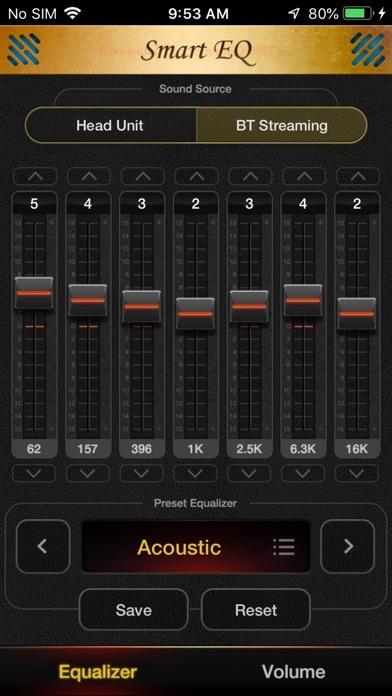 The Dual Smart EQ app gives you full control of the Bluetooth Smart EQ Processors from Axxera and Dual. The app works with models ASEQ505BT & BEQ25T from Axxera and models DSEQ505BT & MEQ15BT from Dual giving you complete control over your sound. The Smart EQ Processor allows you to control volume (main and sub), balance/fade and 7 EQ bands, as well as giving you presets including pop, rock, and jazz. The Processor features signal sensing for automatic amplifier turn-on plus speaker and RCA inputs, and supports Bluetooth audio streaming profile (A2DP). Visit dualav.com or axxeraaudio.com for more product information. - EQ Presets Pop, Rock, Jazz, Classical, Acoustic, Vocal, etc. - For use ONLY with the Smart EQ Processor models DSEQ505BT, ASEQ505BT, MEQ15BT and BEQ25BT from Dual Electronics.